Don’t avert your eyes; its looks are the best thing it has going for it. 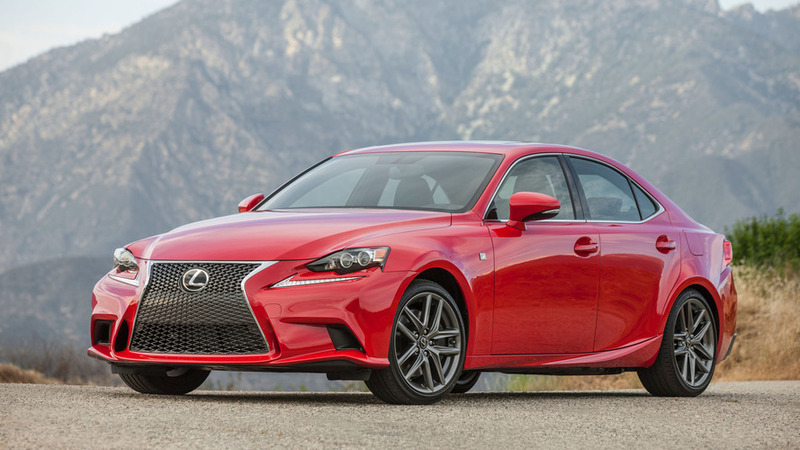 The Lexus IS 200t stands out among today’s crop of compact luxury sport sedans with severely extroverted styling. Love or hate this car’s looks, it won’t be ignored, and the optional F Sport package on this IS 200t RWD model is like an exclamation point at the end of a sentence written in caps. Leading with its looks, though, is the IS 200t’s best chance at bedding down in your garage. That’s because it’s on the small side, its ride is one-dimensional, and its base engine doesn’t live up to the promise of its aggressive appearance. Go for it if you love the looks, but just be aware of everything else you are – and aren’t – getting. Well-behaved engine. 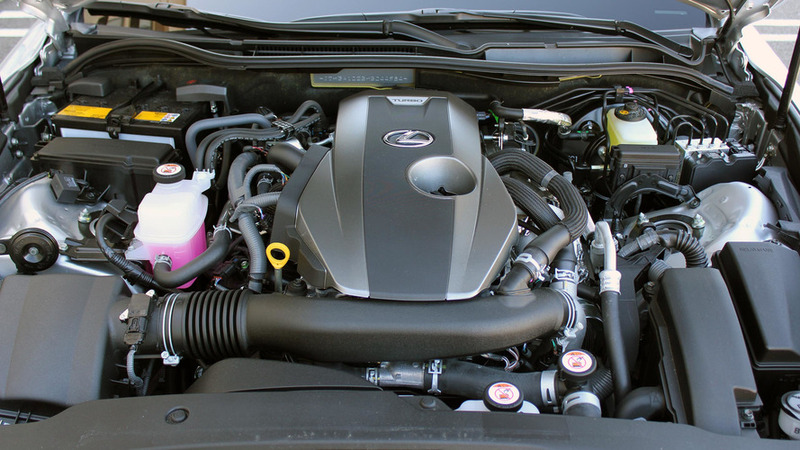 The turbocharged 2.0-liter four-cylinder engine in the IS 200t isn’t a powerhouse, with only 241 horsepower and 258 pound-feet of torque, but it’s barely behind the V6 offered in the more expensive IS 300 (255 hp/236 lb-ft) and is among the best in terms of refinement. Even when you floor it, the four-cylinder never raises a raspy voice or starts shaking between the shock towers. Standout design. 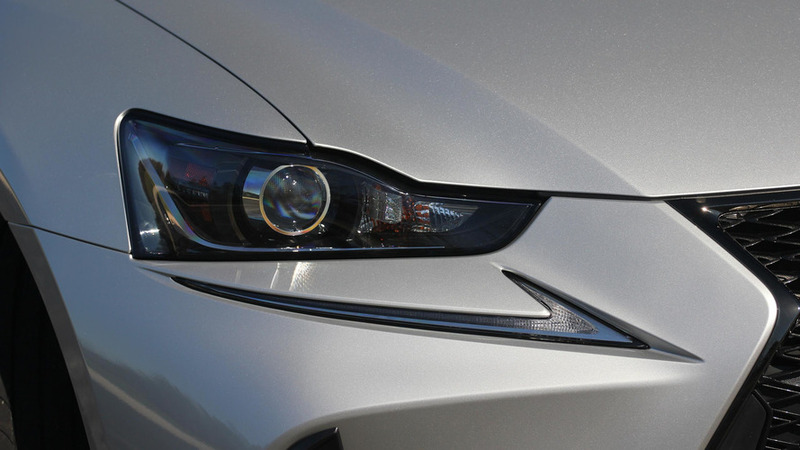 Any comment on design has to be qualified as only an opinion, but I opine that Lexus and its Nike “swoosh” design language look sharp on this compact sedan. 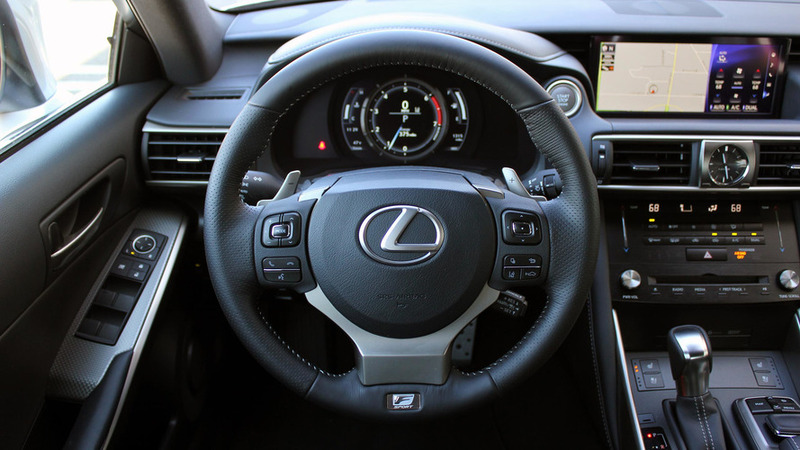 It doesn’t succeed on every vehicle type (have you seen a Lexus SUV lately? ), but it works here. 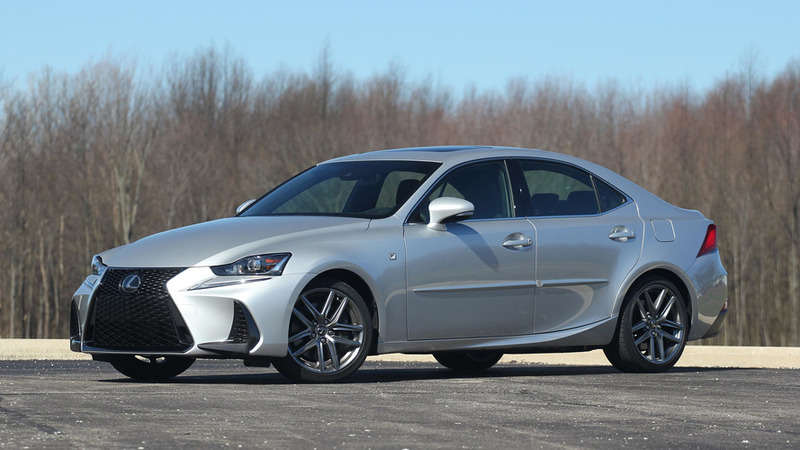 I could take or leave the F Sport package that costs an extra $3,545 and adds a spindle grille, new front bumper, and special 18-inch wheels; even without that extra makeup, the IS 200t makes a statement. Proper sporty handling. 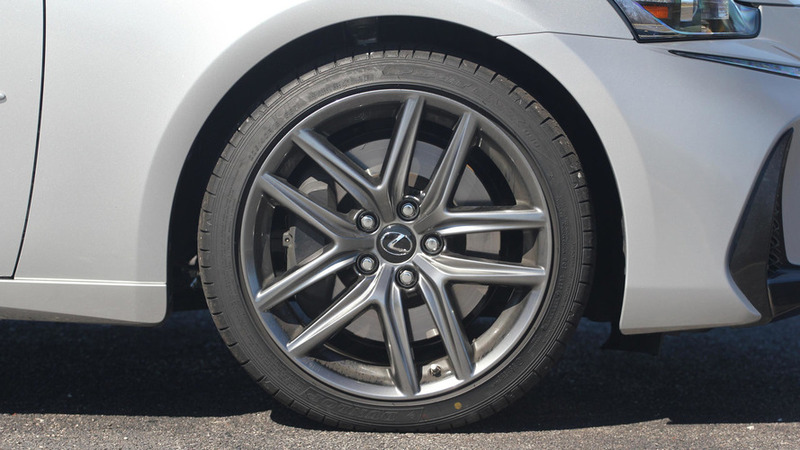 Speaking of the F Sport package, it also includes a sport-tuned suspension and more performance-oriented summer tires. It makes the IS 200t worthy of the name “sport sedan” with quick reactions to steering inputs, stable cornering, and impressive grip. While it’s not a setup I’d like to drive all of the time, it is a blast on your favorite road and makes the most of the engine’s power. Cramped rear seat. Amongst its competitive set, the IS has the second tightest cabin behind only the Cadillac ATS. Its rear seat in particular is about as cramped as they come, with rear head- and particularly legroom falling far short of the segment’s best sellers. A Mercedes-Benz C-Class, for instance, offers 35.2 inches of legroom to the IS 200t’s 32.2. Those three inches may seem minor, but in the real world they feel like a mile. This cramped feeling also afflicts the trunk, where 10.8 cubic feet of cargo space is only outdone by the Cadillac’s 10.4. Bouncy ride. The F Sport package’s firmer suspension tuning and less forgiving wheel-and-tire setup make the IS 200t’s ride rather jittery. With no adaptive suspension (only the IS 350 F Sport RWD and AWD models have one), the firmness never goes away, the bouncing never stops, and the crashing over bumps continues unabated. You’re stuck with it, which should make you think twice about paying extra for the F Sport outfit. Needs more power. As glowingly a review as I gave this engine’s refinement above, it could use more power, particularly below 4,000 rpm where the turbo hasn’t quite kicked in yet. A car that looks and handles like a sports machine sure doesn’t feel like one when it’s beaten off the line by a Honda Accord Touring. The IS 200t’s eight-speed automatic transmission doesn’t help, either. With so many gears, shifts are happening all the time, and they’re not particularly swift. Lexus claims the IS 200t can reach 60 miles per hour in 6.9 seconds, which isn’t particularly quick for a $45K+ sport sedan.